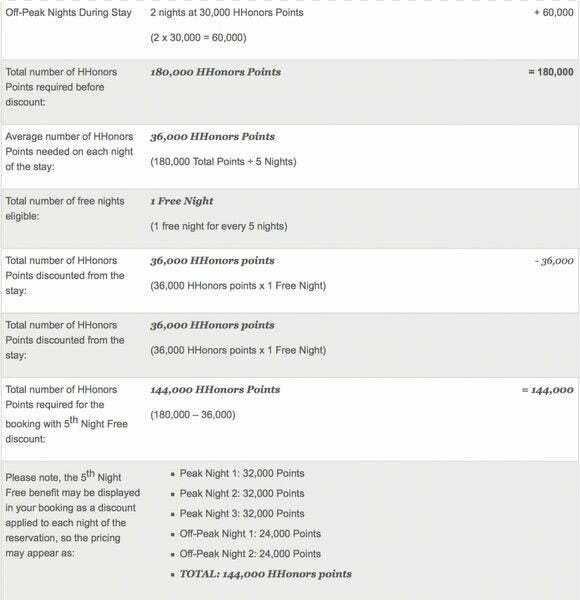 How Many Points Can You Save With Hilton’s 5th Night Free? If someone has Hilton Gold status, does the 5th free night apply even though the 5th night is most expensive? I am planning to make a reservation for Boston in March or April for a conference and the 1st 2 nights are 50,000 Hilton points each. But the 3rd, 4th, and 5th night are 70,000 Hilton points each. So will I save 70,000 Hilton points or 50,000 Hilton points? Sanjay will get the 5th night free when he books 5 or more consecutive award nights at Hilton. But the price of the 5th night isn’t just taken off your final cost. Instead a discount based on the average cost per night is applied to your stay. I’ll explain how it works and how many points this will actually save Sanjay! How Does Hilton’s 5th Free Night Work? Folks with Silver, Gold, and Diamond Hilton status get the 5th night free when they book 5 or more consecutive award nights at Hilton hotels. This deal is good for standard rooms only. To calculate the 5th free night, Hilton finds the average nightly cost of your stay and subtracts 1 night from your total. This is effectively a 20% discount. Hilton may round up the discount in the your favor. The free night applies to each consecutive 5-night stay at the same hotel. So you’ll get the best deal if you book in 5 night increments. For example, if you book 7 consecutive nights you’ll still only get 1 free night. However, if you book 20 consecutive nights you’ll get 4 free nights, which is the maximum you can earn per stay. You can get the 5th night free discount an unlimited number of times if you use it for separate stays. So How Much Will Sanjay Save? But because Sanjay is a Hilton elite status member, he’ll get the 5th night free (or 20% off). So he’ll save 62,000 Hilton points (310,000 Hilton points for 5 nights / 5 nights). So his final cost for 5 nights will be 248,000 Hilton points (310,000 points for 5 nights – 62,000 points which is the average cost of 1 night). Note: The discount should apply at the time of reservation. So you only require enough points to cover the 4 nights when you book. Ways to Earn Elite Status and Get the 5th Night Free! Note: A stay is defined as consecutive paid nights at the same hotel even if you check-out and back in again. But there’s an easier way to earn Hilton status! You can get Hilton Silver status (entitling you the 5th award night free) with 1 card that doesn’t even charge an annual fee! When you sign-up for 1 of the Hilton cards list in Hot Deals, you get Hilton elite status for as long as you keep the card. Here are the Hilton credit cards along with their current offers. 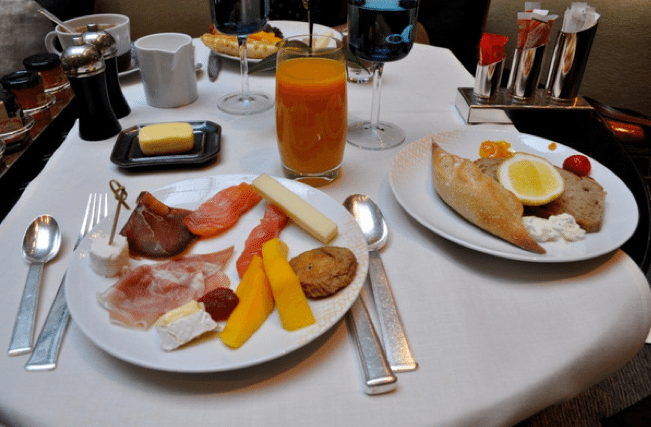 They’re all great cards, but the Citi Hilton HHonors Reserve is my favorite Hilton card because you get 2 weekend nights at almost ANY Hilton hotel for Big Travel with Small Money! Note: You can get all of these Hilton cards because they’re considered different “card products.” However, with Citi cards you’ll likely not be approved for more than 1 card within 8 days and more than 2 within 65 days. 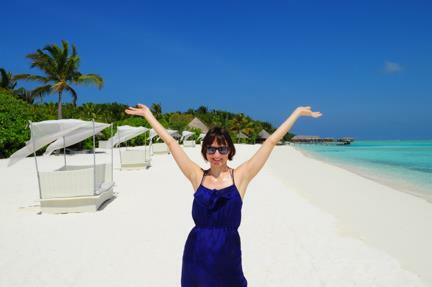 We Used the 2 Weekend Nights We Earned With the Citi Hilton Honors Reserve Card to Stay at the Conrad Rangali Island in Maldives. This Resort Can Cost ~$1,340 per Night! Hilton elite members get their 5th night free when they book 5 award nights or more. This is an effective 20% discount on the regular cost of 5 nights and can save you tens of thousands of points! 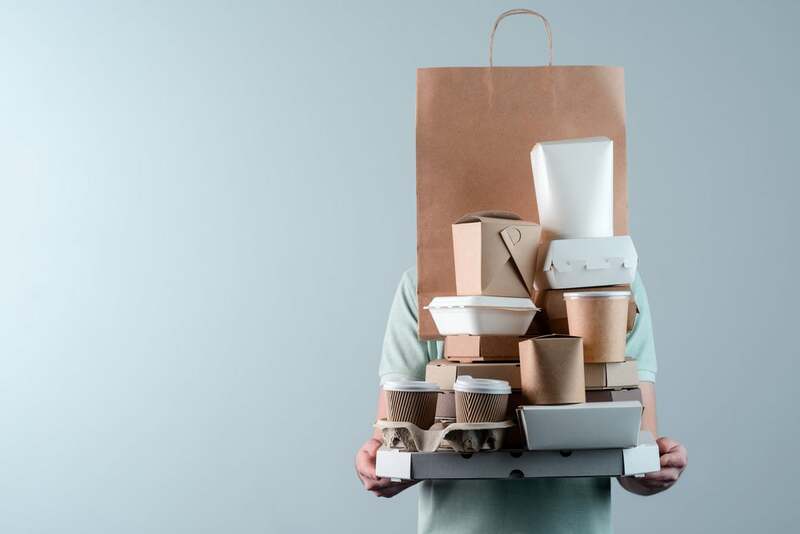 If you want to save money with perks such as the 5th night free, free breakfast, and room upgrades, you can quickly earn Hilton elite status by signing-up for Hilton cards like the Citi Hilton HHonors Reserve Card and Citi Hilton HHonors Visa Signature Card. Thank you for your question, Sanjay! If I book 2 nights of a 5 night stay with the free weekend nights I get with my Citi Hilton HHonors Reserve Card, does that count towards the 5 award night needed to get this perk? Or, do I need to have 5 nights worth of points in my account at the time of award booking? Keep up the great blog; it has helped me take my family of four to the Big Island of Hawaii last year! Do you have to have the full amount of points in your account to cover the 5th night or just what it would work out to be with the 5th night free? 6:23 amAugust 2, 2015 Hamilton G.
Thank you for this great article. I recently booked Hilton Pensacola Beach, Florida for November. Hilton didn’t mention anything about the 5th night being free on my reservation. Now is this discount seen at the time of reservation or after getting your final receipt. Btw, I am HHonors Gold member and planning to stay for 5 nights.